LUCAS NANO 602 is the perfect sound reinforcement solution for any musician, DJ or entertainer who wants to use their own external mixer. Of course any other devices like a DJ controller, keyboard or playback device can be connected as well. 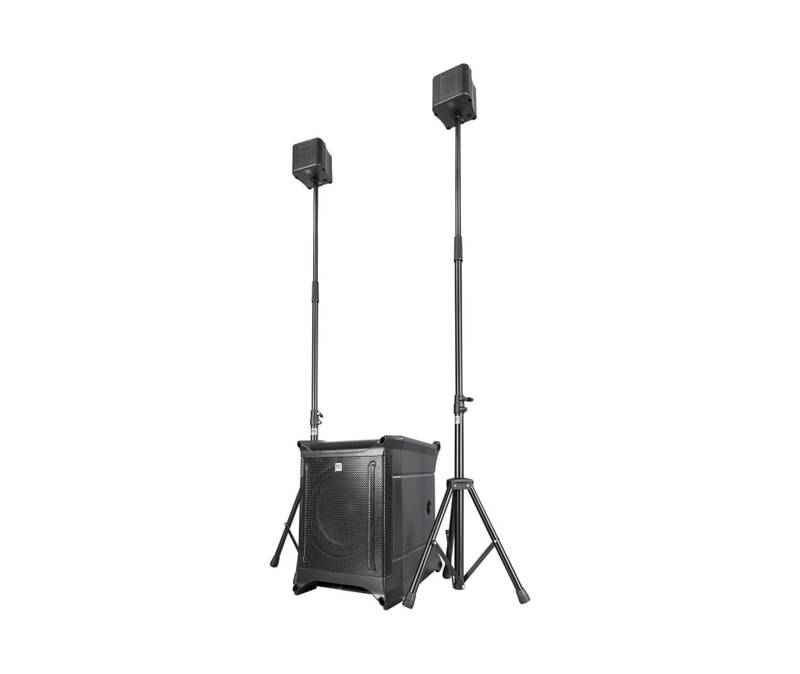 This 2.1 stereo system is optimized for fast deployment at events attended by up to 120 people. This lightweight, 16.3 kg/ 36 lbs system is easily carried in just one hand and ready for use in seconds flat. Stands sold separately.